The risen sun represents many things across different cultures. For many, the risen sun represents hope for a new day, guidance from a higher power, or simply a new life. It may also represent a new chance and renewed hope or faith. For those who practice Easter celebrations, the risen sun is imagery that is very important and highly symbolic. 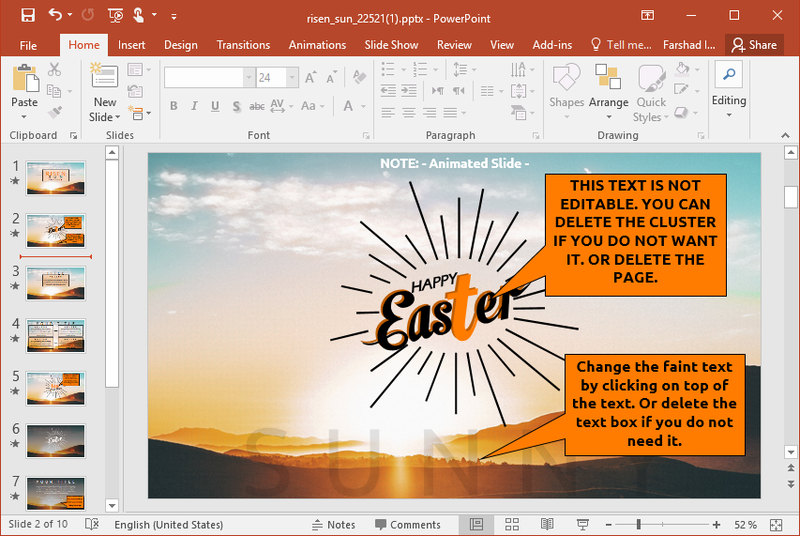 This is why PresenterMedia, among its vast collection of premium animated PowerPoint templates, has also included the Animated Risen Sun Easter PowerPoint Template. 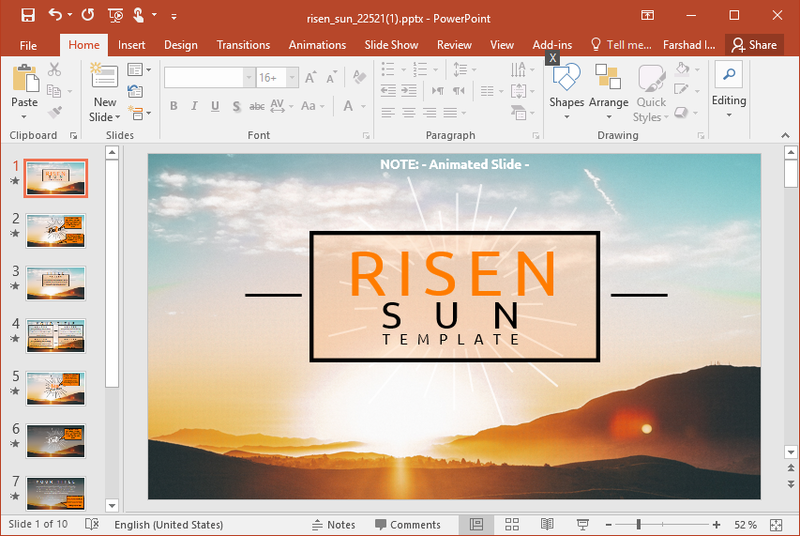 The Animated Risen Sun Easter PowerPoint Template is a premium animated template that features a beautifully captured image of the sun rising on the horizon, with rolling hills and valleys on the foreground. The sun rises against a clear blue sky, which provides a beautiful contrast to the land below. For the title page of this slide template set, there is an animated sun ray effect in the middle of the slide, followed by matching animated text. This is a great eye-catching slide for putting the focus on the title of the presentation and gives your audience a good idea of what to expect in the following slides. 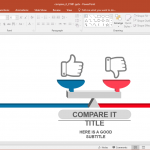 The title is also immediately followed by an animated box where you can put a subtitle or any other text you may want to include to start your presentation. 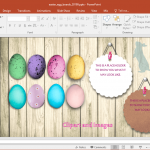 This premium Animated Risen Sun Easter PowerPoint Template has a total of 10 animated slides that are carefully designed so that the animations don’t look overdone, but instead emphasize crucial points and serve as anchors to hold your audience’s attention slide after slide. The inside slides carry the same theme, with the same background of the rising sun over the hills in the horizon. This makes the whole slideshow cohesive. However, with the background, you can still be sure that slide objects, especially text, are still clearly readable. In some slides, the background is darkened a little to make the objects, such as the text, stands out even more. 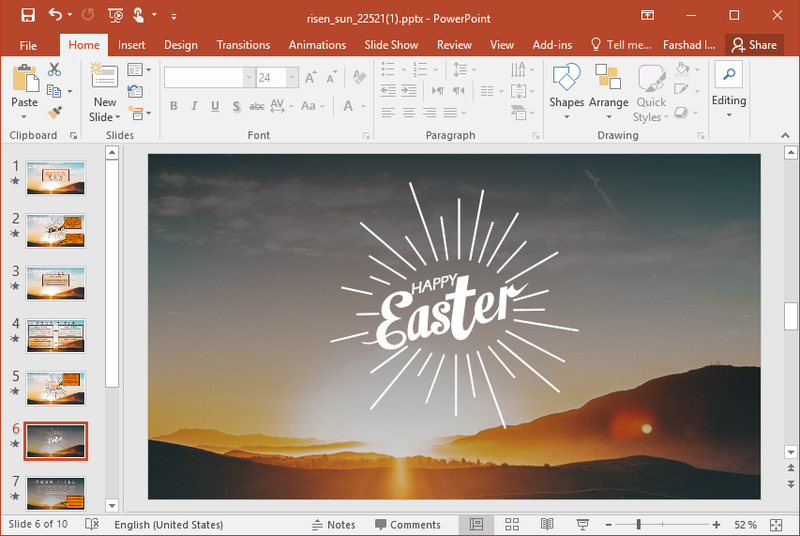 This template allows you to convey your message in different ways, as well as present data through comparisons, graphs, charts, images, and other visuals. For example, there’s a slide that allows you to list items and include descriptions. 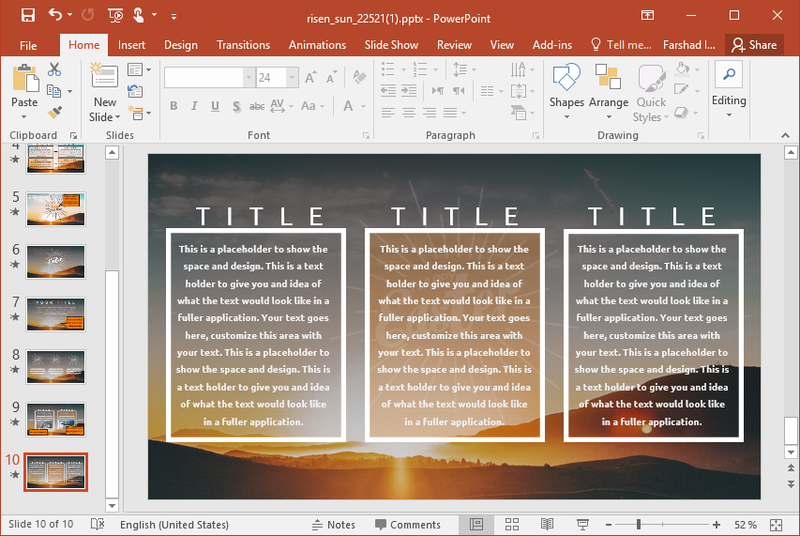 You may also create a short narrative through a title and text slide layout. There’s also a picture comparison, where you can put images side by side, with title and description for each. Instead of images, you may also use shapes or SmartArt, or even charts and graphs. All this depends on your careful consideration on which visual would best convey your message or the data you want to present. 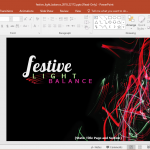 Aside from all these premade slide layouts, you may also create your own layout. It doesn’t require that you take presentation lessons or be a PowerPoint pro. 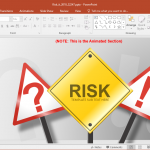 PowerPoint intself makes it easy for you to customize your slides, even using premium animated templates such as those by PresenterMedia. 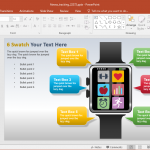 All you have to do is to insert a new slide and insert text boxes as well as other objects that you may want to include. You can also duplicate and rearrange the slides depending on how you want your presentation to flow.